West Suffolk College is an ambitious vocational and academic College, with a stunning main campus set in the heart of Bury St Edmunds. We are committed to providing outstanding education to all our students. Our ethos is to put our learners’ success at the heart of everything we do. That means we will do everything we can to help our students succeed and be the best they can be. We have a wonderful range of courses, facilities, tutors and opportunities to build an excellent foundation for a career or go onto Higher Education. As a partner College of the University of Suffolk, we offer more than 40 foundation and honours degrees at the College across a wide range of subjects. We have forged valuable links with business and industries across all fields to make sure students develop skills that will increase their employability. A huge part of this is embedded in our Apprenticeship delivery where we have over 1500 Apprentices in learning. We believe in engaging with our students as young adults in a supportive and encouraging environment and we aim to give the best opportunity to develop, grow and become passionately involved in their own education. 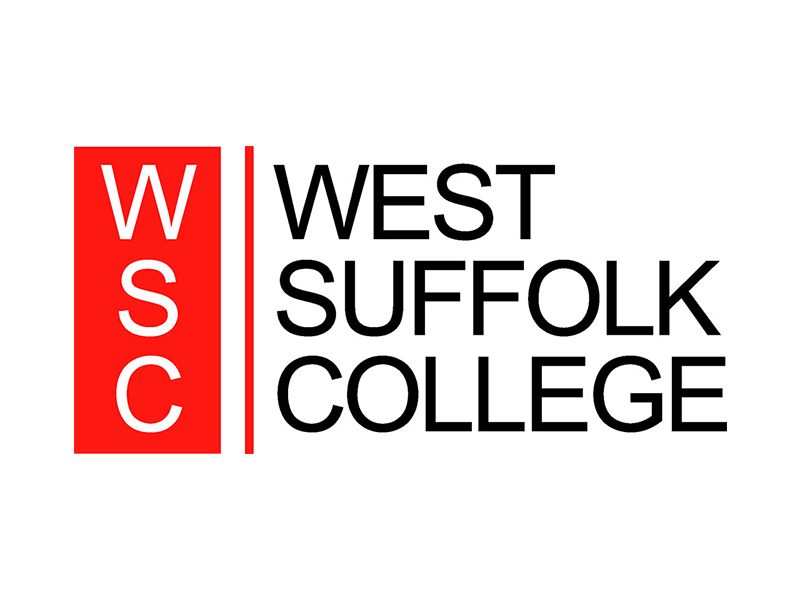 West Suffolk College is on a journey. We have huge ambitions to be the best college in the UK and we believe our community deserves nothing less.